April 19, 2013 - Michael J. Roarty, friend of the American Sportscasters Association and a dear personal friend of mine, passed away on March 16th, 2013, at the age of 84 after suffering a heart attack on his way to the hospital. 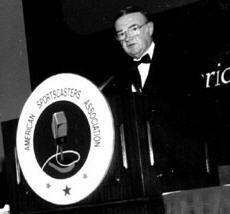 Roarty served as General Chairman for many of the ASA’s Hall of Fame dinners, and was instrumental in the success and growth of the ASA. 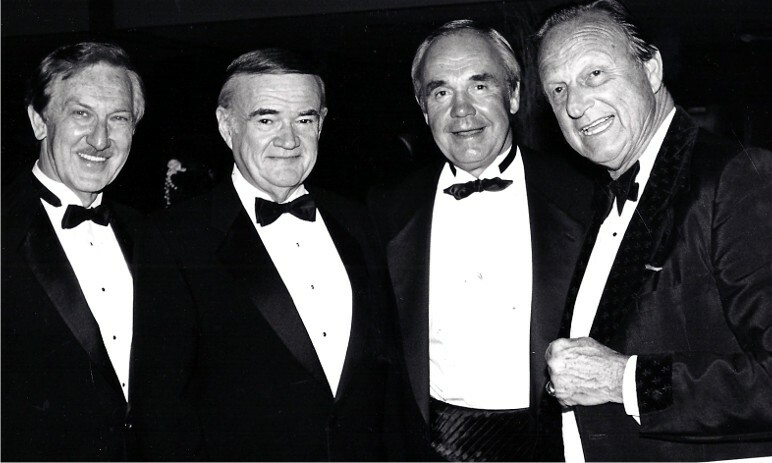 He was honored by the ASA as the “Sports Executive of the Decade” at the 10th annual Hall of Fame dinner on November 30, 1994. Our deepest sympathies go to his lovely devoted wife, and lifetime companion of 53 years, Lee, who just informed me of his death, and to his son, daughter and four grandchildren. Words cannot adequately describe what a fine gentleman he was with a warm personality, great intellect and a kindness for anyone he could help. He was unique and one of a kind. Rest in peace dear friend. We shall never forget you.